Wright & Schulte LLC continues to evaluate Lipitor lawsuit claims from men and women from across the country looking for answers and who believe they have developed Type 2 diabetes after taking the cholesterol lowering drug Lipitor. To speak with one of the firms drug attorneys for a free legal consultation you can call 1-800-399-0795 or you can visit yourlegalhelp.com for more information on Lipitor side-effects and all of the latest news on this and other drug lawsuits. 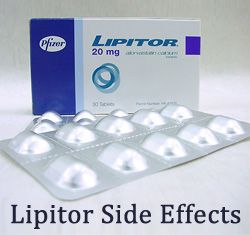 Lipitor (atorvastatin) is part of a class of drugs called statins that are approved by the U.S. Food and Drug Administration (FDA) to lower the risk of heart disease and stroke in patients with high levels of Low-Density Lipoprotein (LDL) or bad cholesterol. In February 2012, the FDA required statin drug manufacturers, including Pfizer, to update their safety labels to warn patients that drugs like Lipitor carry risks of diabetes, particularly for women. A study published in the January 2012 JAMA: Internal Medicine journal found that post-menopausal women who use cholesterol-lowering statin medications may be at a higher risk of developing new-onset diabetes. Wright & Schulte LLC, an experienced personal injury firm, is dedicated to the belief that America’s legal system should work for the people. Every day, the attorneys of Wright & Schulte LLC stand up for the rights of people who have been injured or wronged and fight tirelessly to ensure that even the world’s most powerful corporations take responsibility for their actions. If you’re looking for a law firm that will guarantee the aggressive and personal representation you deserve, please do not hesitate to contact Wright & Schulte LLC today. Free Lipitor lawsuit case evaluations are available through yourlegalhelp.com or by calling 1-800-399-0795.